Buy Fast Buds CBD crack female seeds now! What is Fastbuds CBD Crack? CBD crack from fast buds is a new autoflowering strain for the medical marijuana market and as the name suggests, it is a high CBD strain with levels reaching 7%. This is balanced with fairly low levels of THC to make this the perfect strain for medical users who don’t want to be incapacitated when using their medicine. How about the yield? Well, you do not need to worry about that either as this strain can produce up to 250g per plant in around 10 weeks from seed. Fastbuds tell us that CBD Crack will exhibit extremely vigorous growth right from the get-go and will really start to frost-up from week 5. The scent in the growroom will properly kick in at week 8 with a pungent aroma along with citrus and cinnamon notes to make this an exquisite smelling cannabis strain. Due to the balanced nature of this strain, with equal levels of THC and CBD, the effect is mellow and without anxiety which is perfect fro people seeking out a daytime medicine. 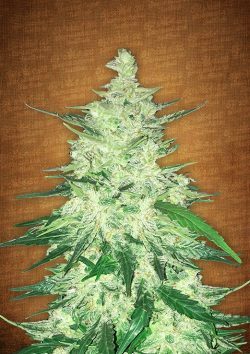 FastBuds CBD Crack female seeds come in packs of 1,3,5 and 10 so whatever your budget, this brilliant new strain can be added to anyone’s genetic collection.